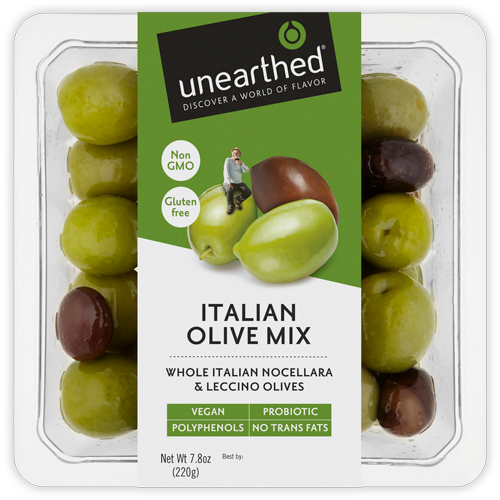 We’re always on the lookout for something different, so when we discovered this mouth-watering mix of Nocellara and Leccino olives we knew we had to share it with food lovers everywhere. 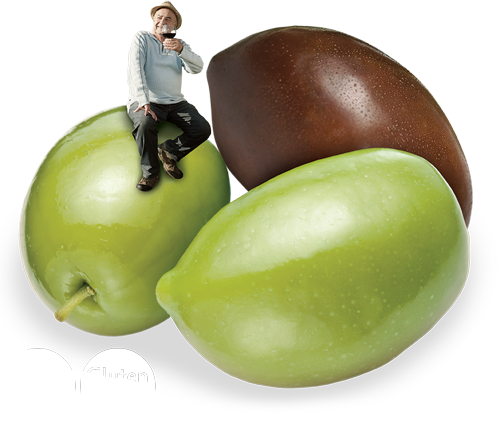 Delicately flavored Leccino olives are from Tuscany, while the rich, buttery Nocellara olive comes from Sicily. We love the contrast of flavor and texture, and we think you will too. This all natural, all italian mix is vegan friendly, non-GMO and utterly delicious. Nocellara and Leccino Olives (Green Olives, Black Olives, Sea Salt, Citric Acid), Sunflower Oil. Per pack: Probiotic Lactobacillus Bacterium (over 50 million organisms).